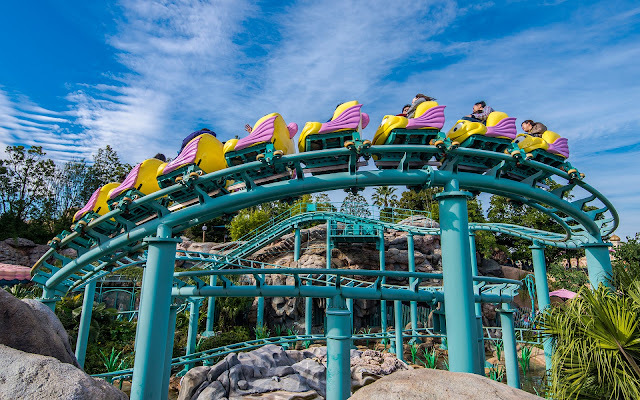 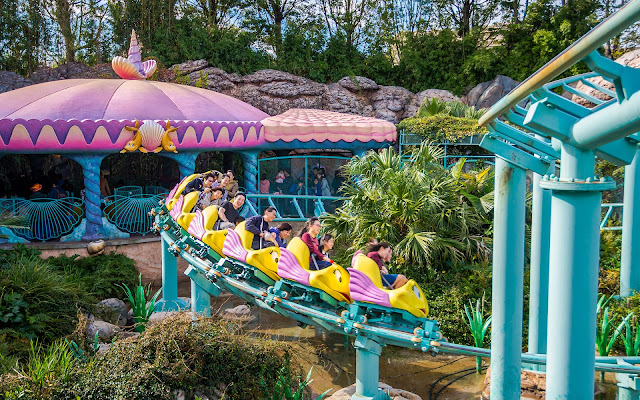 Mermaid Lagoon is probably the most kid-oriented themed land at beautiful Tokyo Disney Sea. There is an indoor portion with several flat rides and a lovely live performance theater and an outside area with a family roller coaster, Flounder's Fish Coaster. This Togo creation is great for kids transitioning to more exciting thrill rides or parents who want to enjoy a fun attraction with their younger children. 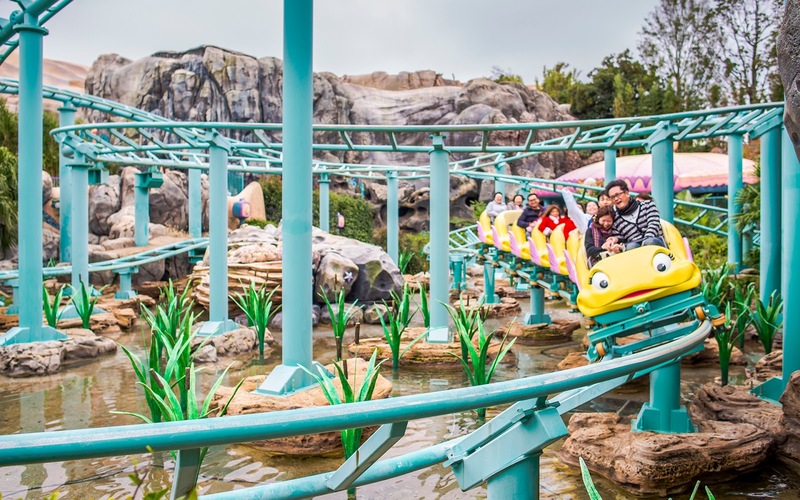 With a cute, whimsical setting, friendly fishy cars, and nice aquatic hues, it's also pleasant to photograph--especially on a sunny day. 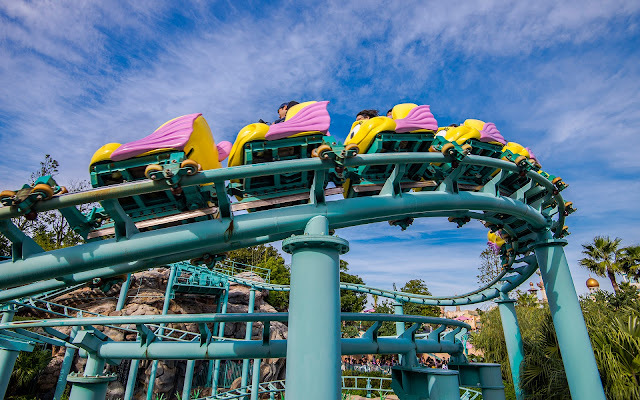 Here are a few shots of the ride!